Danielle won BBC One’s ‘Over the Rainbow’, which lead to her professional debut in the lead role of Dorothy in Andrew Lloyd Webber’s production of “The Wizard Of Oz” at the London Palladium. Since then she has starred as Éponine in the West End production of “Les Misérables”, as Maria in the UK tour of “The Sound Of Music”, and recently finished touring the UK as Sandy in “Grease”. 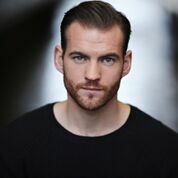 Sam Ferriday’s previous theatre credits include “The Jersey Boys” and “GHOST The Musical” UK Tours. He toured with “The Blue Man Group” across the USA and appeared in the Prodigals musical at Coventry Belgrade. 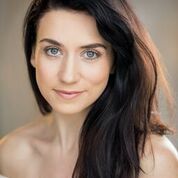 Danielle will play role of ‘Sherrie’ until 24 November and from 26th November Jodie Steele will play the role after starring in ‘Heathers The Musical’ at the Royal Haymarket this autumn. Danielle and Sam will join the previously announced Kevin Kennedy who will play ‘Dennis’, Zoe Birkett ‘Justice’, Luke Walsh ‘Drew’, Lucas Rush ‘Lonny’, Andrew Carthy ‘Franz’, Vas Constanti ‘Hertz’ and Rhiannon Chesterman ‘Regina’.Also joining the cast are Erin Bell, Alexander Day, Joshua Dever, Paris Green, Sinead Kenny, Ryan Lee-Seager, Adam Strong, Saran Webb and Bobby Windebank.